Who on earth is sad enough to take notice of manhole covers when walking around Hoylake? Ah, yeah well, that’ll be me then! Taking note of manhole and drain covers isn’t an activity that I decided to take up on a whim. And it’s not one that I deliberately choose to spend doing a lot of in my free time either. 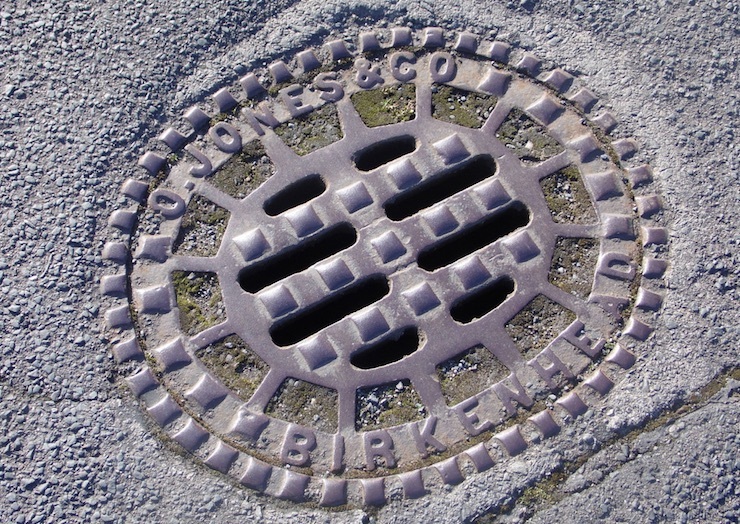 But drainspotting is a thing and people in the UK and around the world do it! Why? Well people like to spot ornate or unusual manhole covers and take photos of them. Then they share them on instagram or twitter. Or even just enjoy the beauty of the patterns. Japan is the place for some serious drainspotting – they know how to make stunning manhole covers! So, last year, having read about it, I made a mental note to keep a look out for any unusual manhole covers in Hoylake. However, most that I’ve noticed seem to be the same; modern and square with no interesting patterns. Deneshey Road has a couple of different ones though, like the one pictured above. You’d assume that it’s the older roads where you’ll see the more interesting ones, but maybe the sewers have been upgraded over the years? This one (pictured below) is on Stanley Road by St Hildeburgh’s Church and the entrance to the footpath across the golf course. It’s stamped, and reads ‘John Brown, 80 Wood Street, Liverpool’. It seems that 80 Wood Street is known as the Tea Factory and was converted to a mixed-use office and residential building by property developers Urban Splash over a decade ago. I can’t seem to find any details about an old tea factory in Wood Street though, or a foundry for that matter. I suppose that old manhole covers can give clues to our local history? Just like these old sewer vents do. And our lovely Hoylake post boxes. And for those you who like photography, they make for an unusual subject to photograph – there’s beauty in the everyday and mundane after all. I bet you’re itching now to see if this one is an oldie or not. “Who on earth is sad enough to take photo’s of manhole covers”? Erm, me and about 300 people in the social media group that I’m a member of, although we use the term “grid”. Also Jeremy Corbyn and quite a few others around the world document the social history that they represent; although the particular group that I belong to are slightly more irreverent! And we raised over £900 for the Samaritans. I thought I was the only one but am not sad! Grew up in WK but live in Canada, winter in warmer Chile. 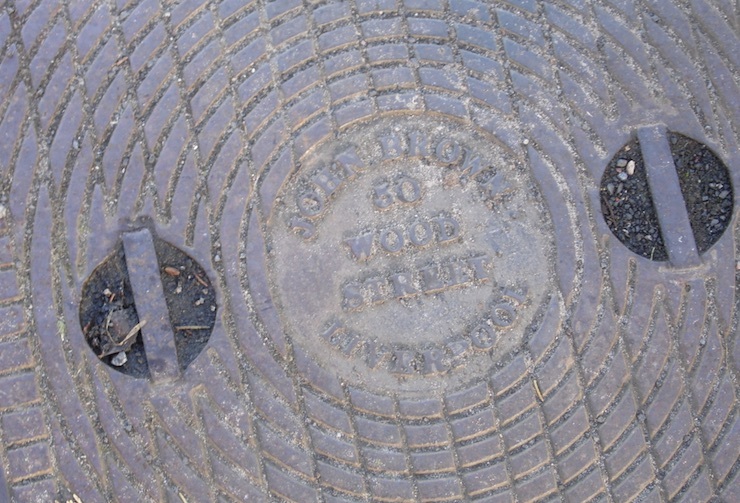 Here I research British heritage, which includes noting historic drain covers made by British companies.